The Panoramic Chanukiah is hand crafted from a 360 degree image of the Kotel (Western Wall) in Jerusalem, fused between two pieces of glass and built into a structure for holding Chanukah candles or oil cups. When the lights are kindled, the image of the Kotel is illuminated. 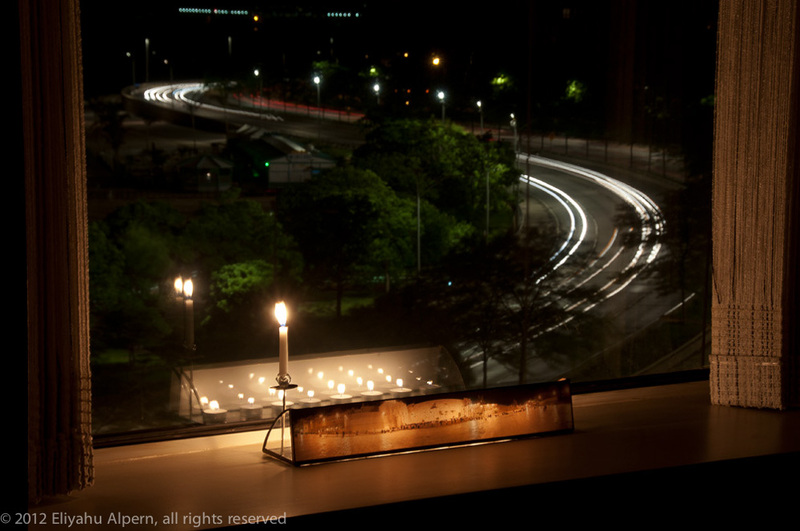 If you place the Chanukiah in a window, the lights are clearly visible from the outside, fulfilling the mitzvah of "Pirsumei Nissah" (publicizing the miracle of Chanukah). The Chanukiah is handmade right here in Israel's beautiful Galilee and is truly a unique piece of Judaic art. It can be used with either candles (tea lights work great) or oil cups. Of course, there is an elevated holder for the Shamash candle. 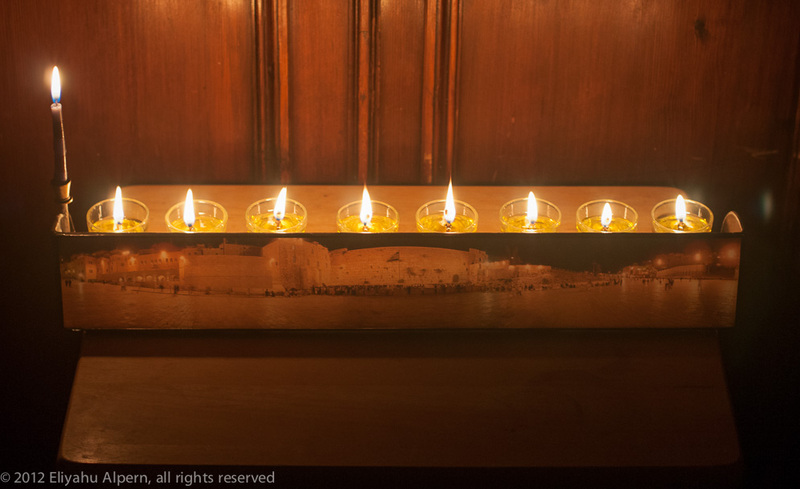 Click here to see the full Panoramic Chanukiah image gallery. (C) 2012 Golem Productions, all rights reserved.